Explore the numerous day-trip ideas around Montevideo: Pizzorno Family Estates (in Canelones), Punta Ballena (Mirador Punta Ballena, Casapueblo, & more) and Museo - Taller de Casapueblo (in Punta del Este). There's much more to do: make a trip to Plaza Independencia, wander the streets of Ciudad Vieja, take a leisurely stroll along Rambla de Montevideo, and ponder the world of politics at Palacio Legislativo. 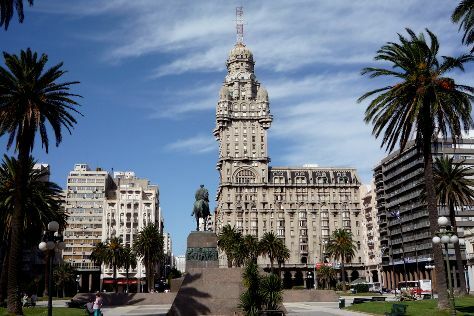 To see traveler tips, ratings, photos, and tourist information, use the Montevideo trip planner . If you are flying in from Brazil, the closest major airports are Carrasco International /General C L Berisso Airport, Capitan Corbeta CA Curbelo International Airport and Laguna de Los Patos International Airport. March in Montevideo sees daily highs of 28°C and lows of 17°C at night. Finish up your sightseeing early on the 12th (Tue) so you can travel back home.